Cinnamon exporters is an example of a HTML caption with a link. 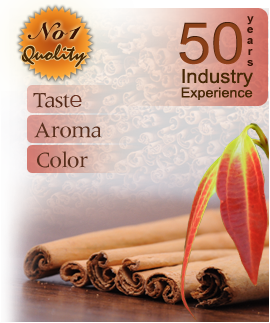 Many countries import cinnamon from Sri Lanka because Sri Lanka cinnamon has a special taste and aroma.If you willing to buy cinnamon from Sri Lanka contact us to get product details and hear why we special than others. Cinnamon is one of the ancient spices in the world. Ceylon cinnamon, "Cinnamomum zeylanicum" native to Sri Lanka belong to the Lauraceae family. The history of the cinnamon is about to 2800 B.C old. Even it is mentioned in bible. The Egyptians used cinnamon for the medicine and food enhancer as well as embalming process. Mexico, Asiatic countries, Arabia and North Africa it was used in cooking. The Romans it has been used mostly in perfumes and fragrances and to flavor wines. The true cinnamon of Ceylon (Sri Lanka) was found in the early of the 16th century by the Portuguese, They controlled the trade with great cruelty. Demand for the cinnamon begun to increase and led Dutch to fight with Portuguese finally Ceylon’s cinnamon trade was invaded and controlled by Holland in the mid of 17th century.